Which quantitative and life cycle-based indicators are best suited to quantify and monitor man-made impacts on climate change, biodiversity, water resources, and other aspects of the biophysical environment? The Global Guidance for Life Cycle Impact Assessment Indicators (Volume 1) goes a long way to address this question by identifying the “current best available practice” in a variety of areas: climate change, human health impacts of fine particulate matter, water use impacts, and land-use impacts on biodiversity. The global importance of these impact areas is also recognized in specific Sustainable Development Goals (SDGs). 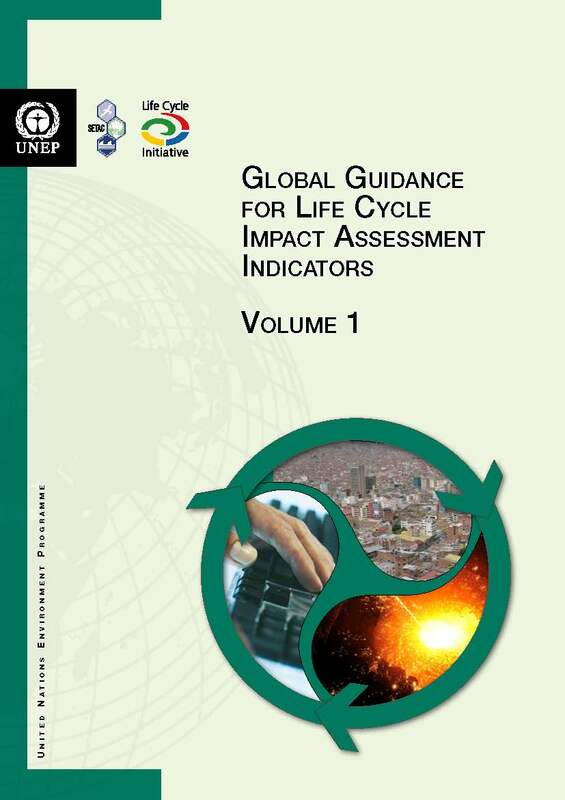 This guidance document contains a reservoir of useful and practical information that reflects the dedicated effort and collaboration of many scientists, engineers, and life cycle assessment (LCA) practitioners from around the globe. Aimed at LCA practitioners and method developers, it enhances the comprehensive and consistent assessment of impacts in production and consumption systems throughout their life cycle, making explicit any potential trade-offs and supporting more sustainable processes. It provides a significant leap forward in the environmental representation and accuracy of internationally endorsed, scientifically robust, and stable indicators while enhancing comparability among LCA studies. This guidance document should be on the physical and electronic desktops of practitioners as well as those that will benefit from and make use of the outputs of LCA. Please access the file by filling in the form below. Note: We will only use this information for our own internal statistics. It will not be given to 3rd parties at any time for any purpose.